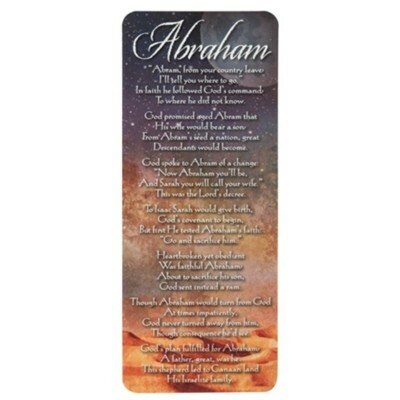 Old Testament bookmark featuring the story of Abraham with written verse by Janis Miner. Bookmark is made of cardstock paper and is 6.25" long. I'm the author/artist and I want to review Abraham Bookmark.